Whew, what a long product name. My quest for vegan skincare that actually works continues. While I haven’t blogged about it, one of my goals for this year is to find skincare and makeup that are completely cruelty-free and vegan. I’m about halfway there with my makeup – except for my foundation (I currently use Clinique because it’s hypo-allergenic and I thought cruelty-free). But skincare is an entirely different beast. 4) Improves the overall quality of my skin. I’ve had oily skin my entire life. As a teenager, I had horribly cystic acne that was mostly cured by Accutane. However, I still struggle with clogged pores, blackheads, and the occasional blemish. I have tried probably every drugstore product over the years. What I’ve found works best are the Cetaphil or Cera Ve products because they don’t irritate my skin, especially if I’m using a prescription retinoid. 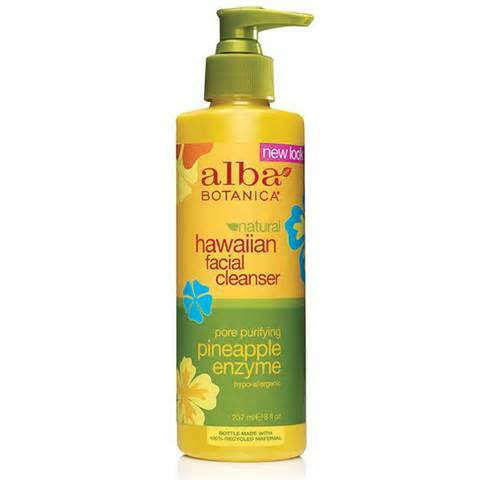 However, now that I’m no longer using a strong acne product, this cleanser just isn’t cutting the mustard. Which brings me to Alba. I’ve tried their Acne dote line of products, but sadly, was not impressed. I found that they were irritating more than they were productive to my skin. Sounds good, right? Wrong. While I liked the scent and consistency of this wash, I’m not noticing any improvement in my oily skin, blackheads, or rough patches. In fact, my skin is much more irritated then it was when I started. Additionally, I’ve developed MORE small bumps around my forehead. And it doesn’t remove my eye makeup. What the heck? It’s supposed to be pore-purifying! If anyone has good recommendations for a skincare line for me, I’d appreciate it! Thanks so much! I’ve been blogging for a little over a year. to remove them. The search isn’t all that tough when you need a general dentist. somewhat surprising that adults volunteer to undergo the straightening process. You can have your crooked teeth, chipped teeth or discolored teeth treated effectively. Now we are at the point on “How do we get rid of the results of this Fibro Attack”. My dentist first mentioned it to me before my son was born.